Today, I’m going to show you a neat little trick you can use right now to get your website slap-bang on the first page of Google search results in just a matter of weeks… Sometimes days if you’re good. If you’ve got any knowledge in SEO and ranking websites, you’ve probably had a rough stab in the dark that it has something to do with backlinks… And you’d be right too. Now these aren’t your normal run of the mill backlinks either. Oh no, these are in fact super-charged backlinks guaranteed to improve google ranking Google for free in no time whatsoever. First of all, let me share a little secret with you. Did you know that the vast majority of backlinks methods out there are complete, utter junk? Yup, that’s right, and not only are these complete, utter junk… But some can actually have a negative effect on your Google rankings. 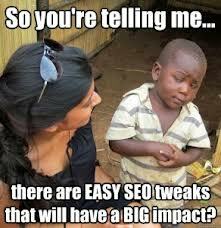 In fact, the vast majority of these backlink “tricks” can do more harm than good and get you slapped by Google. …And once you’re penalised by Google, it can take months to bounce back from it. These type of backlinks are normally automated backlinks. As in, the ones done with software like SENuke, Scrapebox etc. So please, stay stay away from those backlinks… They’re more trouble than they’re worth. High Page Rank: The higher the Page Rank the webpage your backlink is on… The more powerful the backlink is. 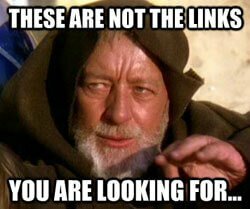 Now a lot of people make the mistake thinking if they get a backlink from a high Page Ranked “website” then that’s all they need. Wrong! If the webpage your backlink is on has zero PR, then it has zero SEO value and will do squat for your rankings. This is why using software like SENuke and Scrapebox are next to useless for ranking your website as they put backlinks on webpages with no PR whatsoever. This method on the other hand will show you how to How to get high pr backlinks free instantly in your niche where you can get thousands of high PR backlinks that will boost your webpage you’re trying to rank on the first page of Google search results. It Involves Zero Spamming: In fact, the sites where you’re placing the links, the webmasters WANT you to put backlinks on their high PR webpages. Straight up, and they even encourage you by making it as easy as possible and give you a massive incentive for placing your backlink on their webpages. 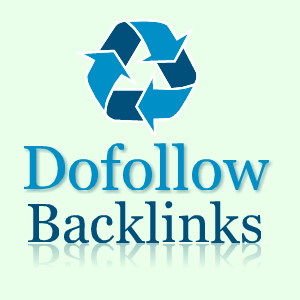 All Links Are Do-Follow Backlinks: If you don’t know what do-follow backlinks are. Basically, when your backlink is “do-follow”, it means that it will pass what SEOs call “link juice” through the backlink you placed on the high PR webpage, to your site therefore ranking your site even higher. But in today’s SEO training, I do show you how to find out almost instantly whether it’s a do follow link or not using some free software you can download. All Links Are Niche-Specific: Now this is where all the automated methods like using tools like SENuke, Scrapebox etc drop the ball. These software and spamming methods tend to opt for the “shotgun” method and as a result… Blast your links all over joint, to websites that have diddly-squat to do with your website whatsoever. And this “did” work but recently, Google made changes to their search algorithm and now they have next to no SEO value. Also, if you get too many of these backlinks from websites that are totally unrelated to your website… You can even get Penalised from Google. But when you think about it, it does make sense. I mean why would a bodybuilding website link to a fishing website, or a weight loss site link to a Golf website for that matter? It would rarely happen in real life, if at all and Google realises this and have made changes to there ever-evolving algorithm to combat this. So it’s important to get backlinks from niche related websites and the method I show you below will not only get you thousands of places to get high PR backlinks, but every single one of them are also niche related – meaning even higher rankings for you! Keyword Research: If you haven’t done any keyword research before implementing this backlinking method, stop right now and do your keyword research first. Otherwise, this is going to be a complete waste of time. Keyword research will help you find keywords that are getting a healthy amount of searches a month, yet have a low competition and therefore easy to rank for. Otherwise, you’re going to try and get ranked for keywords that are way too competitive and it’ll take forever to improve google rankings. On Page Optimisation: Once you’ve done your keyword research, make sure to optimise your webpage for the keyword you want to rank for. On page optimisation is a vital key for ranking in Google and you would be amazed how much of a difference these small tweaks to your webpage can do to your Google rankings. In fact, when I’ve done my on page optimisations for my own blogposts, I’ve seen my webpages jump 20 to 50 places in the search results without using any off page optimisation (backlinking) whatsoever. And don’t just stop at doing on page optimisation on your webpage either. Actually do on page optimisation for your ENTIRE website as well. Stuff like removing duplicate content like “Tag” and “Category” pages can make a huge difference – not just to your webpage you’re trying to rank… But your entire site on the whole. Right then. I think I’ve gone over everything you need to know. 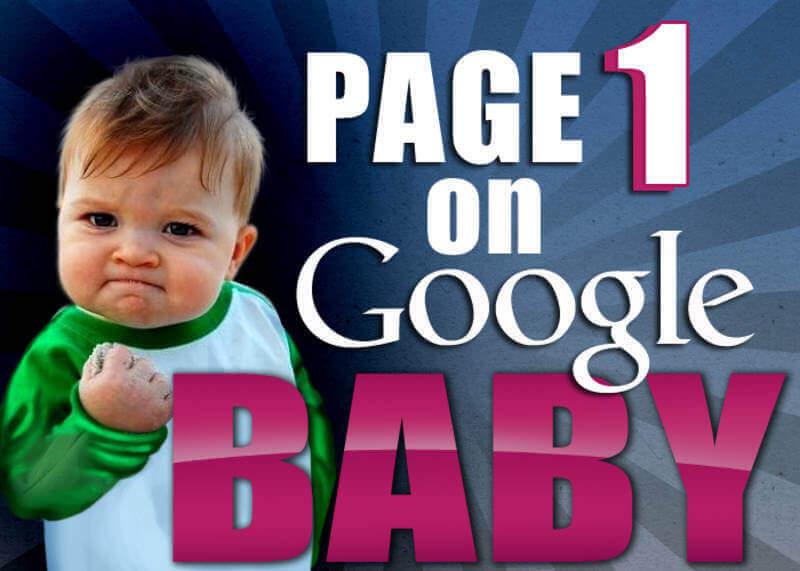 So that said and done, here’s the video that will show you How to get thousands of high PR backlinks free and as a result, soar to the top of Google search engine in super quick time… Enjoy! Free $688 a day guide <==Some guy made $25000 in 30 days doing this! Now if you enjoyed this guide and would like access to my best stuff then I recommend you check out this FREE video asap! Yes, it’s totally free to watch and it’s where I walk you through – step by step – on how to make a full time living – even if you’re a complete beginner with ZERO internet marketing experience. In fact, everyone else who’s watched the video and followed the simple steps, end up making around $300 – $500 a day after 3 months of following this video you’re about to see! This free video won’t be available for very long, so if you want free access to it, make sure to watch it right now as I don’t want this method you’re about to see suffer from over saturation. To get started… Simply click the button below to get instant free access! One of the best articles about link building. This post is the very useful for all bloggers. These are great methods for link building. I’ve been looking for a link building strategy that works for a long time. This technique is very easy to implement as the video shows you step by step how to do it. Very interesting and informative article about seo and back-link. great information. Thanks, Rajeev… Glad you found the article and video helpful. your method has been very impressive and logical. i have just tried to put into practiced. Glad you liked it, Sam. I really enjoy your videos and follow you whenever I can. I’ve watched the CommentLuv video and see that you are using CL premium? I have the free version at the moment (thinking of buying the premium) and doing a bit of testing with it. As it stands my latest post will only show, so I need premium for 10 to show? Also if I leave a comment on someone’s site, will I get a backlink back? Thank you for the videos, they’re always fun. Hey again, Wendy… We just spoke on Youtube, right? It really depends on how the site owner has configured CommentLuv on their site. …While others will want you to share their post or leave a number comments before you can leave a link. So it differs from blog to blog really. Glad you’re enjoying my videos too… Really do appreciate it. Thanks for your awesome post. I tried the comment luv backlink strategy as suggested by you, however, the recent post link too is now no-follow. Is this strategy still working? They are out there… But you’ve got to dig around for ’em. I mean, look at my site for example, I allow you to have do-follow backlinks on here. Also, some sites have have their CommentLuv plugin set so you have to leave so many comments before you can get do-follow backlink from there site. Other sites have it setup so you have to share their post before you get a do-follow backlink as well. So yeah, you’ve just to go dig around really. If you want another backlinking method, I’ve just made another video which could be a big to you. I’ve been looking for a link building.It is one of the best article about link building.I got more information about link strategy.Thank u for sharing useful information. I tried the comment luv backlink strategy as suggested by you and i’m improving. Hi Beatrice… Nice to meet you. Just read your comment and yes, it can be tough getting traffic to your site. Thankfully, I have tons of free training on this very blog on various ways of getting traffic – free and paid methods. When you say you didn’t get the email, I take it you’ve signed up for the free “$688 a day” course, right? If so, and you don’t end up getting it, just email me here: [email protected] and I’ll make sure you get the free course. Check your spam though as it can end up there sometimes. Thank you, Shubra… Glad you enjoyed it. You’re welcome, Karim… Glad you enjoyed the video training. Wow nice and very valuable post. I am very happy to get like this post. Thanks, Sanu… Glad you got a lot of value from it. Hi, James. Very good, very good, your article … I’m glad I found your blog. Really a huge incentive to who’s starting. Thank you for sharing with us! Now let’s practice! Thank you, Roberto… Appreciate your stopping and saying that. hello James,i read from someone,ADAMS to be precise to google do not like seoquake,that it should be used to your own peril,because google can ban your ip for some hours if one uses it regularly . Regarding your question: if you use SEO Quake scrape data from Google, Google can give you a temporary ban. But it’s only for a few hours and you can use it again with no problems. So there’s no longterm negative affect or anything like that so you can use without worrying of doing any damage to your site or anything like that. I have read your post and found it really halpful. Backlink is the a secret weapon to rank web page on top. However, it is very to generate quality backlinks but you have made this pretty simple. You’re welcome, Shailesh… Glad you got value from the training. I came across you via twitter searching for reads on “page 1 on Google”. I agree this is a very useful but simple trick of getting backlinks from high PR websites. I would probably use it if I did not “invent” how to get a page 1 ranking on Google “without searching for backlinks” at all, not looked for backlinks now for about 10 years. I can get yours or anyone’s website where they want their website to be on page 1. It should not happen overnight but just lately it has, shows how powerful this is. Just last couple of weeks ago submitted a page and well within 24 hours it was sitting on page 1 happily. My Seo magic will be getting out there for others to test to use soon, looking for the right venue to show the world. If your trick helps others looking for backlinks then it’s got to be a good thing yeah. That’s awesome to hear, James. If you ever get the overwhelming urge to share it with me, I’m always here for ya lol. Seriously though, good luck with it and how you reveal it to the world too. Well explained. Almost everything you covered here. Wow James – this is awesome information that you are sharing for free! God bless you. I will implement and come back and leave an update. And I’m def getting and following your training . Sending lots of love your way … Keep blessing this world! Thanks, Sharon – really glad you’re diggin’ the training I’m putting out. If you enjoy training in this post then you’re gonna love this free course, for sure. Hey James thanks for sharing this amazing method of creating backlinks.I just like the helpful information you supply in your articles.I will bookmark your blog and take a look at again here regularly.I am somewhat certain I’ll be informed many new stuff proper right here! Best of luck for the following! Thank you, Igbo… Glad you found it helpful.